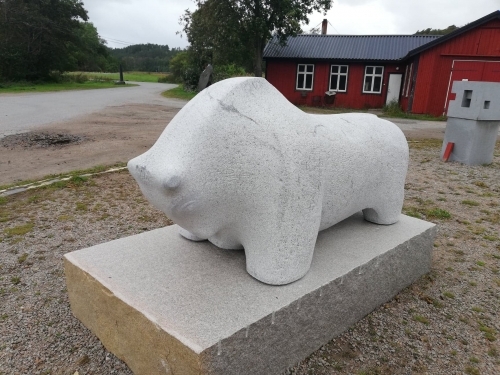 Easter is the time for art to show itself in Northern Bohuslän. A three day art exhibition of a very unique kind. You visit the artists in their home studios and can ask questions as well as buy art. This is something that has been going on for years and grown in popularity. It all started a long time ago… Arne Isaksson arrived in Gerlesborg , a small hamlet on the edge of the Bottna Fjord. He fell in love with the landscape and the light. An art college was started and many artists from all over the world has studied here and many has since settled here for good. As the saying goes , you can’t throw a stone here without finding an artist. It is a very international community and that is why I love it here. Come at Easter time and experience KVIRR for yourself. We have special offers on half board at Easter. Contact me, Åsa for more information. Prices starts at 1100 kr/double room with breakfast.